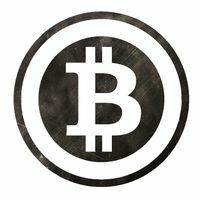 " ̳̳Y̳O̳U̳R̳ ̳U̳S̳E̳R̳N̳A̳M̳E̳ ̳ is using this card to buy bitcoin from BuyBitcoinsFromMe on Paxful.com. No refunds." --Write your username on the line above. B. (If OneVanilla) Upload the BACK of the PACKAGING that the card came in. C. (If OneVanilla & No Packaging) Upload a screenshot of the card balance and list of transactions. We must verify that the barcode on the receipt and card match. We will check the card. If valid, we will charge and release. If previously redeemed, invalid, or locked, you must cancel the trade. 6. If you submit info without being instructed, the trade becomes void and you must cancel the trade. 7. We reserve the right to request additional info for any reason. 8. We do not participate in illegal activity nor accept stolen cards. 9. We do not deal with third parties or middle-men. 10. Only 1 card allowed per trade. Multiple cards on 1 receipt are ok.
11. Each card must be $50 or more.